How can Teknion stand out and win the bid to furnish Google New York’s newest location? This project was broken into many different phases. The purpose of this project was to win the bid for Teknion to supply furniture for Google’s new building located in New York City. This project began with research on Googles work methods, new office trends, and investigations on previous Google buildings. 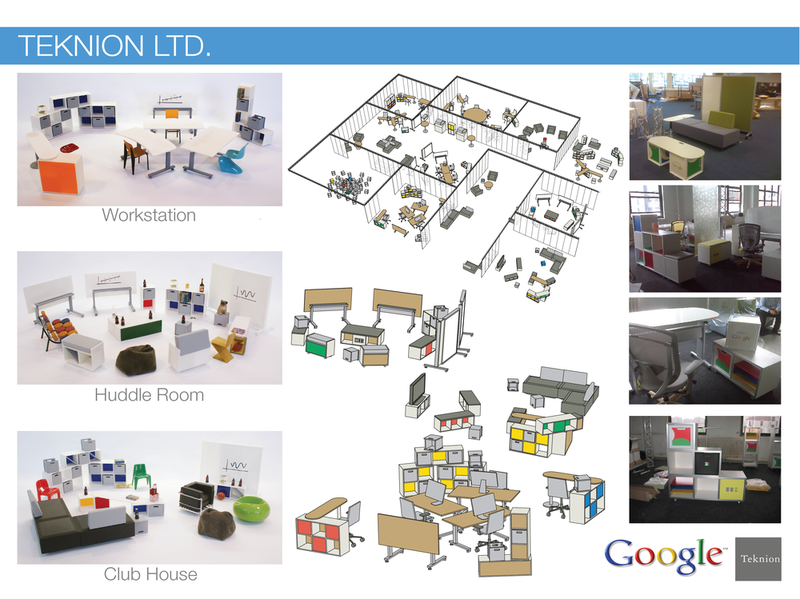 The models on the right were all rapid prototyped, and the purpose was to show Google in a visual way how Teknion can cater to their individual needs. This was then presented to Google at the first proposal meeting in New York. The final phase was designing, prototyping and ordering custom furniture pieces for a full-scaled display to show Google how it would all come together. Reevaluate Teknion’s current office screen portfolio and find new opportunities. 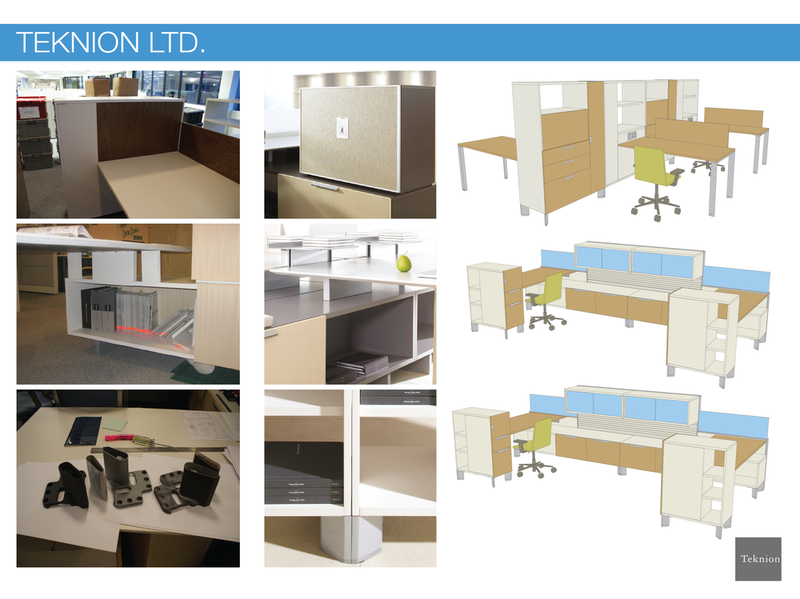 This project was a 4-month research and product development project, to help Teknion enhance its long overdue office screen design portfolio. 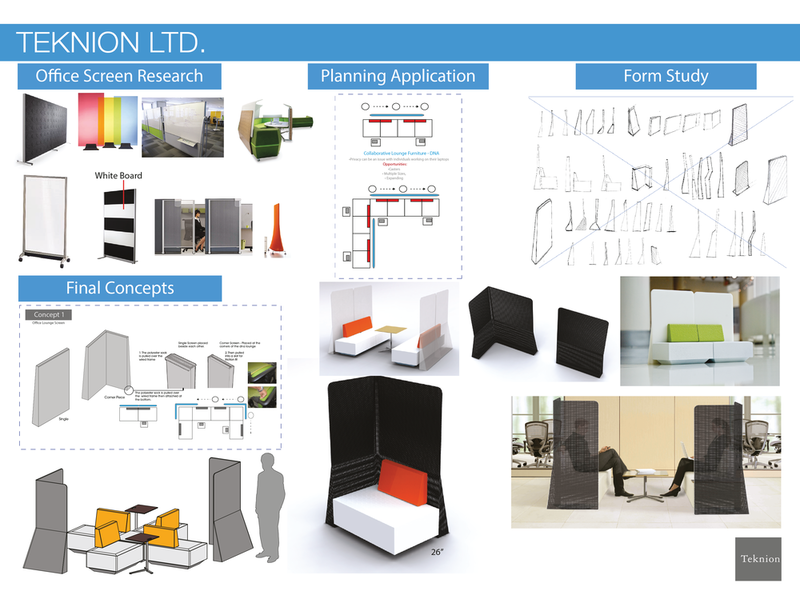 Tasks involved, conducting ethnographic research, evaluating current Teknion office screen offerings, researching various manufacturing processes of how screens can be produced, sketching, rendering, presenting concepts, and prototyping a scale models. The opportunity I decided to focus on was to create a new line of office screens to accompany Teknion’s Award winning DNA casual seating line.